In a large pot heat coconut oil, add onions and sauté until onion browns. Add celery, diced butternut squash, spices, water and coconut milk. Leave it on medium heat, put on lid and let it simmer. Once butternut squash is soft remove from heat and add to your high speed blender to blend until smooth and creamy. Serve in bowls and add collagen. 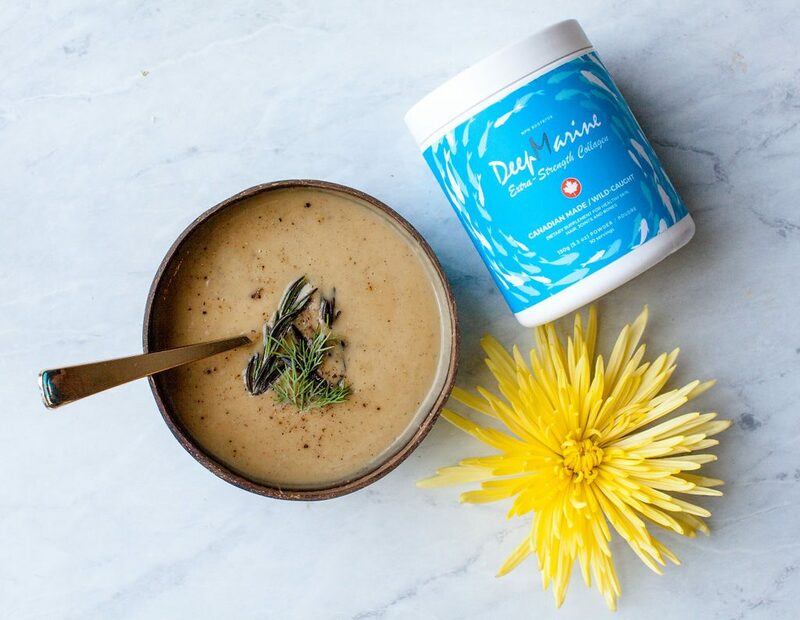 DeepMarine collagen is made from wild-caught Atlantic fish and, being much more absorbable than bovine collagens, it creates greater health benefits for you. Most collagens are made overseas, but DeepMarine is 100% made in Canada. This guarantees safety, quality, and the purity of our collagen. It reduces inflammation, relieves joint pain and builds bone density. Strong anti-inflammatory properties help relieve symptoms of inflammatory bowel disease and heal the gut. DeepMarine is very effective at healing difficult skin wounds. Reduces wrinkles, improves the appearance of skin and strengthens hair and nails. Visit www.deepmarine.ca to order collagen and read more.